Great work by Mary Jones, BOS, JCC! Her willingness to stand up for the unconstitutionality of HB2313 "transportation bill" , orchestrated by the VA Chamber elitist, to support UN AG21 in VA, is inspirational and admirable! Thank you Honorable Mary Jones and the Poquoson Rep. to HRTPO! google Blueprint VA! Several James City County supervisors were confused last week after Berkeley Supervisor Mary Jones voted against the proposed state transportation bill, a vote on behalf of the county's board when the board had not yet taken a stand on the bill. Jones cast her vote at the March 4 Hampton Roads Transportation Planning Organization special meeting on the transportation bill, which would delete the per gallon gas tax and add a wholesale gas tax. Roberts SMCupervisor John McGlennon took Jones to task on the decision to vote without knowing the board's opinion. Jones is the county's representative on the HRTPO. Cities and counties across Hampton Roads each appoint a delegate to represent their regional interests at the organization's meetings. York County, the city of Williamsburg and the Williamsburg Area Transit Authority have voting members in the HRTPO. 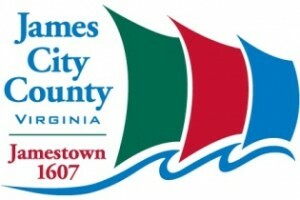 The organization called a special meeting on March 4, where Jones voted not to support the bill – the one the General Assembly has approved and is awaiting the governor's signature – without either telling her fellow James City County board members there would be a vote or what hers was after she cast it. Roberts Supervisor John McGlennon pressed Jones to explain why she hadn't told the other board members about the vote and asked if she had even read the agenda material prior to the HRTPO meeting. "Now, I have a lot of problems with this transportation bill, but I never had the opportunity to even hear that there was going to be a resolution … You did not think it was worthwhile notifying us that there was going to be a resolution," McGlennon said at Tuesday's meeting. Jones said she found out the resolution was on the agenda the morning of the meeting. "It was not highlighted, it was within the agenda. I don't know if it was on the public agenda," Jones said. At the HRTPO meeting, the organization heard a presentation about the transportation bill and a discussion period followed. Jones asked about regional taxation. The Virginia Constitution states all taxes be the same except real estate tax; four pieces of the transportation bill were against the state's constitution, she said. Jones explained at Tuesday's board meeting she read the bill prior to the meeting and had concerns going into the meeting about how James City County citizens would be affected. "I didn't know if anyone on this board actually read the entire bill as I did," she said. Following the discussion of the bill at the HRTPO meeting, the organization took a vote to support it through a resolution. Jones and the Poquoson representative voted against it, but all others voted for it so the resolution passed. "This [resolution] was put forward, there was absolutely no time for discussion, there was immediately a motion put on the floor and a vote prior to our technical amendments even being considered," Jones said at Tuesday's board meeting. If Gov. Bob McDonnell signs the transportation bill as expected, several items will change across the state including eliminating the per gallon gas tax and replacing it with a percentage-based gasoline tax. A $100 annual registration fee would be applied to hybrid, alternative fuel and electric vehicles. The state sales and use tax would be raised from 4 percent to 4.3 percent. Read a previous article on the bill. Below is the video of the special meeting, which ran just under 50 minutes.